Safe2Say Something PA is an anonymous PA school safety reporting system that accepts tips from students, parents, educators, and/or concerned community members on matters ranging from violence, suicide, guns, drugs, and threatening behavior to bullying, cyberbullying and other acts of victimization that impact students K-12 across the entire state of Pennsylvania. 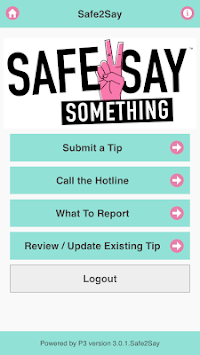 The Safe2Say Something PA app allows you to submit secure & anonymous safety concerns (“tips”) to a 24/7 Crisis Center. The Crisis Center triages and then forwards the tip to the appropriate school official and, when needed, to local law enforcement (through 911 dispatch). 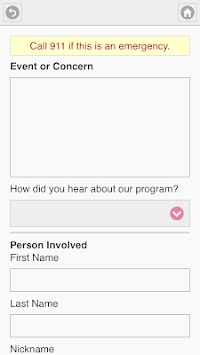 The purpose of the reporting system is to provide intervention and assistance for individuals at-risk of hurting themselves or others through violence or other potentially harmful actions.